We manufacture ELISA kits for detection of cardiac troponin-I, myoglobin and fatty acid binding protein (FABP). Cardiac troponin-I is expressed only in cardiac muscle and therefore the best biomarker for assessment of heart damage. Myoglobin and FABP are expressed in both heart and skeletal muscle. They provide good cardiac biomarkers in the absence of skeletal muscle damage. Likewise, they serve as good skeletal muscle biomarkers in the absence of cardiac muscle damage. Advantages of myoglobin and FABP are that they are generally released at higher levels and they are also more stable than troponin-I. We manufacture three types of cardiac troponin-I kits. The –HS kits should be used for serum whereas the –HSP kits should be used for plasma. The –US kits are slightly more sensitive and can be used with either serum or plasma. 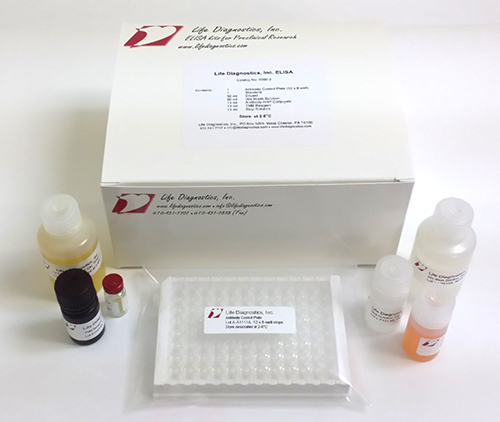 Available kits and links to the respective instructions are listed on the Cardiac Biomarker Kits page.